As part of the UTAR New Village E-commerce project under Department of Soft Skills Competency (DSSC), Year Three Semester Three Faculty of Creative Industries (FCI) student Fan Yi Wei was awarded for assisting Kicap Bentong Sdn Bhd in designing their brand logo. A token of appreciation along with a cash prize of RM500 was given to Fan by Kicap Bentong Sdn Bhd Production Manager Adrian Wong on 22 February 2019 at UTAR Sungai Long Campus. Kicap Bentong Sdn Bhd was initially founded by Wong Yin. He first began the business by supplying soy source from Bentong to Karak in a van. It gained a good reputation due to its good quality. The products sold today are not merely soy sauce alone, but other various products such as bean paste and seasonings. According to Adrian Wong (son of Wong Yin), Kicap Bentong Sdn Bhd has a history of more than 35 years. It began with a house business and it was slowly upgraded to a factory which is now located in Kawasan Perindustrian Bentong. Adrian Wong said, “It is important for us to maintain our traditional brand logo because we are a light sauce company and our business is tradition-oriented. So, before the designer came out with her own design, I explained the overview of our company and the products we sell. I also told her the elements that we hope to see in the new logo. We really appreciate the help of the designer because she gave us an opportunity to restore our brand logo.” According to Adrian Wong, e-commerce is very common and important these days as everyone prefers it over physical shopping. He also said that it was very useful in the business industry because it helps to market and expose new products to customers. He thanked UTAR for helping him set up his products on online platforms like 11street, Lazada as well as Youtube. UTAR New Village E-commerce project was launched on 23 November 2017.It aimed to link the new villages to the small and medium-sized enterprises (SMEs) through the adoption of digital marketing and e-commerce with training and guidance from the UTAR students and staff. Opportunities for learning and economic improvements are provided for the villagers with the hope that it will improve the commercial value of their products and expand their product market beyond the villages. 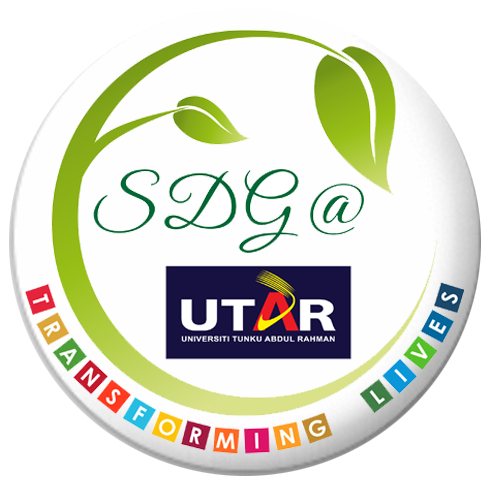 For more information on UTAR New Village Community Project, kindly visit: https://www.utar.edu.my/dssc/index.jsp?fcatid=482. For more information on Kicap Bentong Sdn Bhd, kindly visit: http://www.gobentong.com/en/attraction/attraction/kicap-soya-bentong.